Facebook is set to introduce end-to-end encryption for its Messenger app, allowing more than its 900 Million users to send and receive messages that can not be read or intercepted by law enforcement or even the social network itself. However, it’s not the kind of end-to-end encrypted chat feature provided by Apple or WhatsApp in which all your conversation are entirely encrypted by default. Instead, the social networking giant will offer an end-to-end encrypted chat mode in Messenger as opt-in, just like Google’s Allo smart chat app that provides encrypted chat feature only if users opt for it. Privacy advocates criticized Google for adding its 'incognito' encrypted chat mode as an opt-in feature, rather than offering end-to-end encryption by default. Now, Facebook Messenger will roll out the same choice for its users in the next few months, when the company will roll out this new encrypted chat mode in Messenger as an opt-in feature, reports The Guardian. The mode would protect your communication between devices from the prying eyes of hackers as well as law enforcement agencies — although the company would also add artificial intelligence into the system. 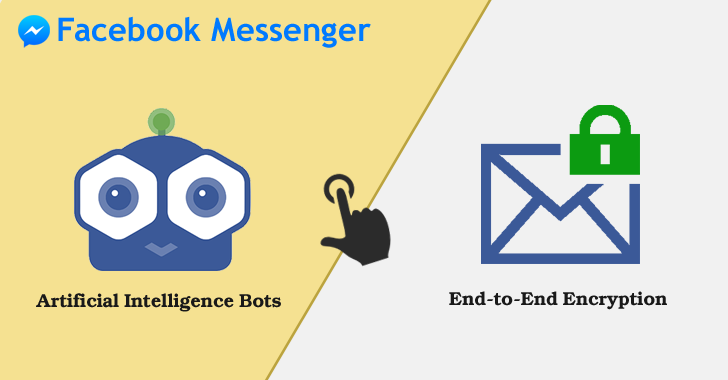 The Messenger update will offer users a choice between privacy and smart AI features, like the 'Bots on Messenger' feature that Facebook revealed last month, allowing companies to deliver automated customer support and content to users. Facebook’s approach to provide opt-in encryption feature will not make plenty of users happy, but as the world is growing towards Artificial Intelligence technology, so this move might be a balanced approach by the company to hand over you the choice between privacy and smartness.